ASAs instructor certification program parallels the student levels with Basic Keelboat, Basic Coastal Cruising, Coastal Navigation, Bareboat Cruising, Advanced Coastal Cruising, Offshore Passagemaking, Celestial Navigation, Trailerable Multihull, Cruising Catamaran and Small Boat Instructor levels. Whats the difference between ASA Instructor Certification and USCG professional licensing? The ASA program is exclusively focused on the candidates ability to sail and teach sailing. How much time will it take to prepare for the clinic? Most instructor candidates take between five and ten hours to review the study material in the IQC package. It is advisable to spend a few hours in a basic keelboat to brush-up on boat handling skills. The majority of our candidates are very experienced professional boat handlers prior to their candidacy. Those without this experience are advised not to enroll in an Instructor Qualification Clinic. Does everyone have to take the first level? I’ve been sailing 20 years and have a 100 GT Masters license! Safety, seamanship and boat handling knowledge in the form of a written test. Experienced professional sailing skippers should do well on this test. It covers many of the ASA Advanced Coastal Cruising standards. Teaching abilities in the form of formal, assigned classroom topic presentation and assigned on-the-water teaching. This assesses the candidates ability to organize a lesson plan, prepare a structured lesson and teach on the fly, common to in-boat lessons. This is a graded area. Boat Handling Skills in the form of single-handed sailing a 20-26 foot keelboat. Skills evaluated: points of sail, control, sail trim, safety, MOB recovery, reefing and anchoring. An instructor will need to be able to do all the sailing and teach in a beginning class. This area also reinforces the confidence needed to be a good instructor. A few hours of practice ahead of time will change panic to affirmation of sailing skills. This is also a graded area. What goes on during a clinic? In addition to the above evaluations, there is an orientation to ASA methods, practices and where instructors fit into the ASA program. There are presentations of how instructors can use different teaching tools through the discussion and use of the Fred King Teaching Methods booklet and assigned teaching topics will be given. A remarkable amount of knowledge is also available from fellow candidates who bring their own sailing skills and teaching hints. When will the clinic be over in the evenings? I will want to see the sights. The clinics are intensive and require a great deal of your time and energy. Most candidates find that preparation for the classroom assignments, the on-the-water testing and written exams so demanding that a light dinner and an early retire are in order. Based on the weather and number of candidates, the clinic day may extend well into the evening. A dinner break will be given should this occur. Candidates should plan on not having outside activities during the clinic. Will there be navigation questions in the clinic? I haven’t done a lot of formal navigation. There is a coastal navigation test administered in the Basic Coastal Cruising clinic (second level). Candidates will need to get an 80% on this exam to complete the clinic. A score of 90% or above qualifies the candidate to Instructor Level for Coastal Navigation. Areas covered are general knowledge of navigation, publications, navigation tools, use of current and tide tables, conversion of true and magnetic, bearings and plots, DR plotting, set and drift, course to steer, time-speed-distance computation, the buoyage system, lighted navigation aids and chart symbology. It is the same intensity as the coastal navigation exam found in professional mariner license testing. How many days does it take to be certified? 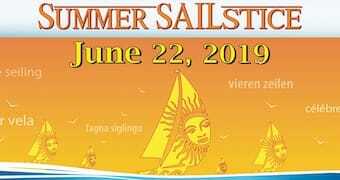 The typical Basic Keelboat clinic has a Friday evening orientation and teaching methods review, followed by Saturday AM for the instructor examination (large clinics may have half the group in test while the other half are on the water). PM is for the water portion of the evaluation. Sunday has classroom presentations and completion of the on the water evaluations. Basic Coastal Cruising is conducted on Monday and Bareboat Cruising on Tuesday. Daily schedules can vary by location. What if I dont pass a portion of the clinic? ASA works on the module system. Unless the candidate is truly not prepared for the level of evaluation, he may retake any portion of the clinic he has failed within a year of their clinic. The candidate will be given a Plan of Action detailing what skills they did not pass. All records will be incomplete until the modules are successfully completed. What are the prerequisites to becoming an ASA Instructor? Typical candidates have been sailing for 10 plus years, are in their late 30s plus, frequently have teaching experience in other outdoor sports or teaching credentials and are professional skippers. Please call for more information. I want to take as many levels as possible, is that wise or permitted? Taking as many levels as possible is the best usage of your time and money. You will know the Instructor Evaluator and he/she will know your abilities. You will also have the other candidates for support and you will know the area and boats. ASA allows a candidate to take up to Bareboat Cruising at one time. A candidate needs to be teaching for one year before moving up to Advanced Coastal Cruising. What areas do some of the candidates have difficulty with? Every candidate has his/her own weaknesses and strengths. Coastal navigation for Basic Coastal Cruising (second level) – dust off your dividers and parallels. Single-handed sailing – take some time to practice this. Tillers – many candidates haven’t had a tiller in their hands for a long time. If you should have other questions please contact us.